Meet Jen and Rick! They met online and had similar interests that led them to like each other :) But they took it very slowly. They would give each other the run around because they were guarded in their own ways and some ways had given up hope on Love. They continued to pursue each other and finally got serious in August 2014. Their connection with each other and the one they had found in the Lord was the perfect combination for a fire burning love! He proposed on Christmas day and her gift was the ring! 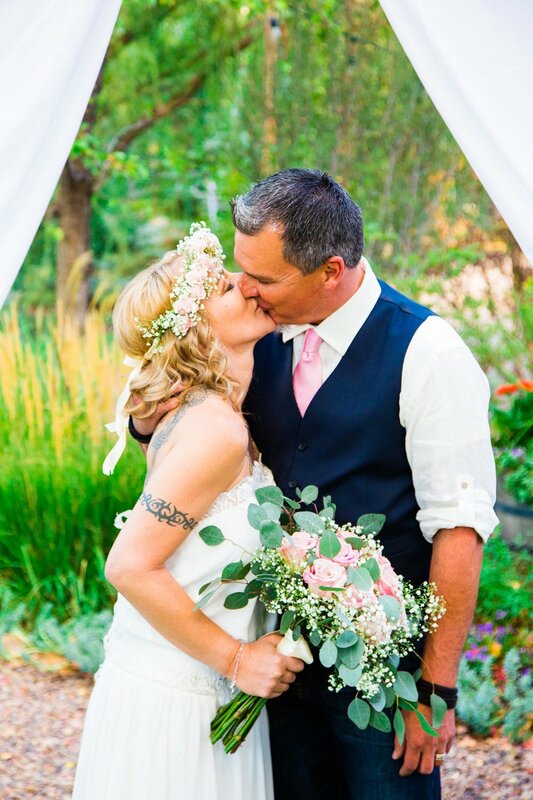 They had a beautiful and intimate wedding at the Greenhouse on Woodland joined by their closest family/friends :) Pastor Ernie from the Church gave a touching ceremony and they preceded to celebrate their love the rest of the night! Here is a preview of their joy-filled wedding day!